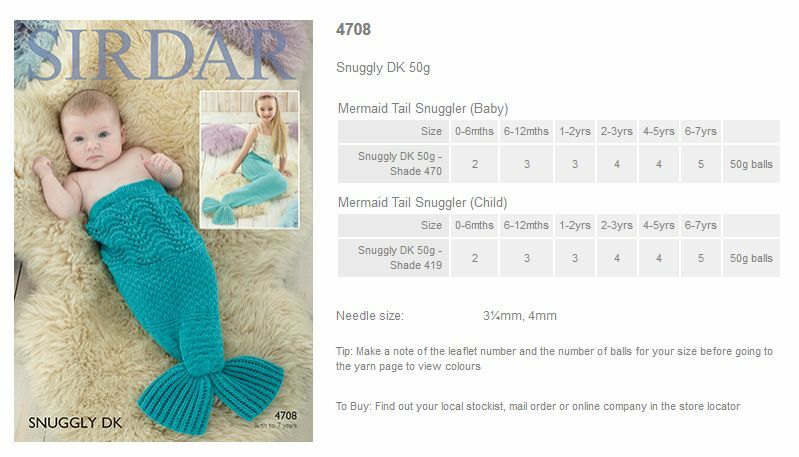 4708 - Mermaid Tail using Snuggly DK Leaflet with a design for a Mermaid Tail using Sirdar Snuggly DK. 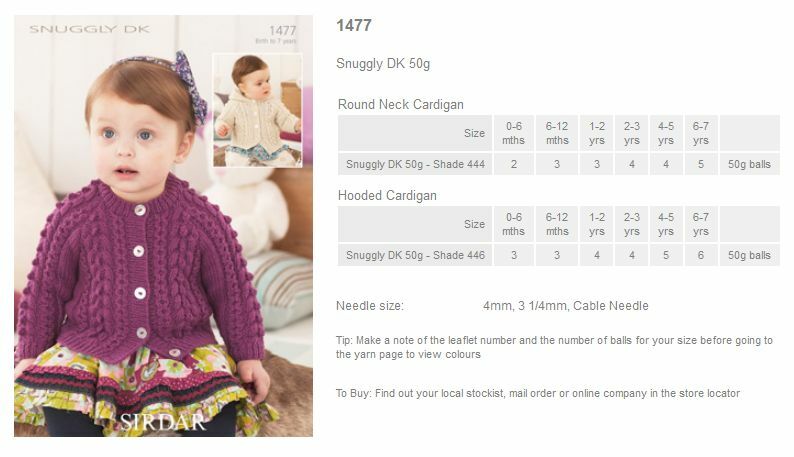 1477 - Round Neck Cardigan and Hooded Cardigan using Snuggly DK Leaflet with designs for a Round Neck Cardigan and Hooded Cardigan using Sirdar Snuggly DK. 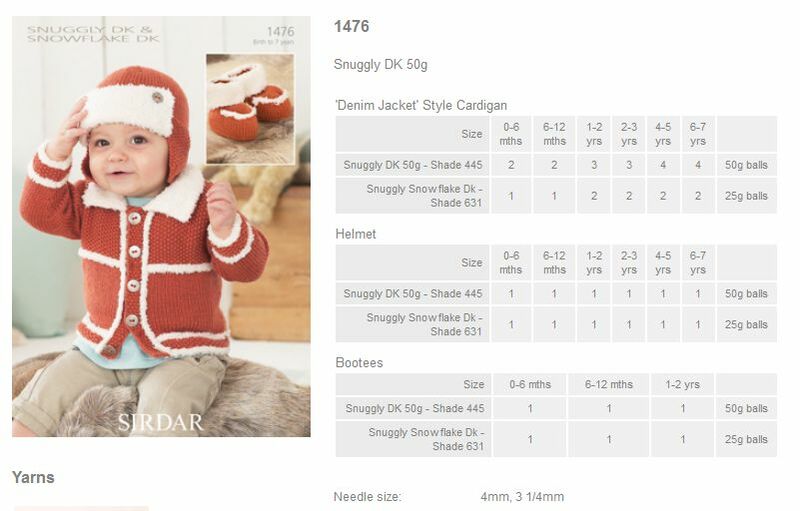 1476 - 'Denim Jacket' style Cardigan, Helmet and Bootees using Snuggly DK Leaflet with designs for a 'Denim Jacket' style Cardigan, Helmet and Bootees using Sirdar Snuggly DK. 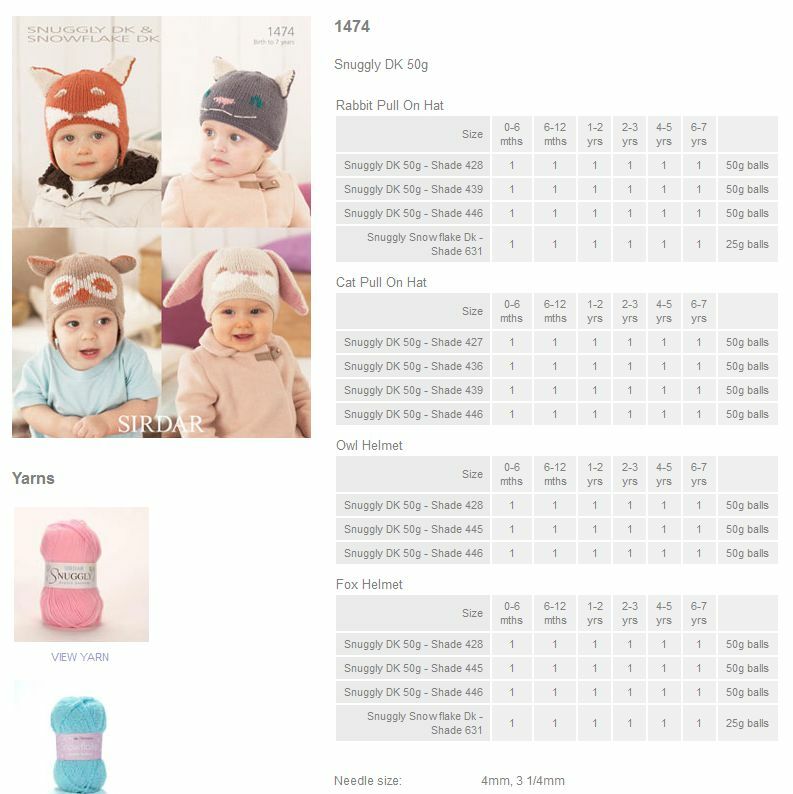 1474 - Rabbit/Cat Pull on Hats and Owl/Fox Helmets using Snuggly DK Leaflet with designs for Rabbit/Cat Pull on Hats and Owl/Fox Helmets using Sirdar Snuggly DK. 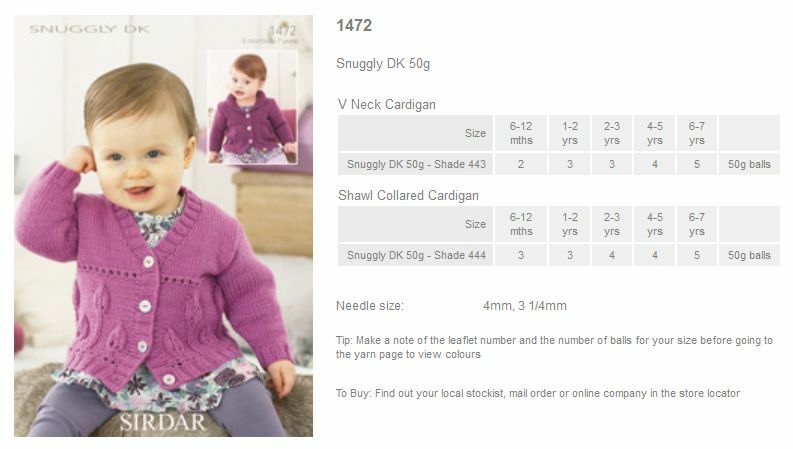 1472 - V Neck Cardigan and Shawl Collared Cardigan (Girls) using Snuggly DK Leaflet with designs for a V Neck Cardigan and Shawl Collared Cardigan (Girls) using Sirdar Snuggly DK.